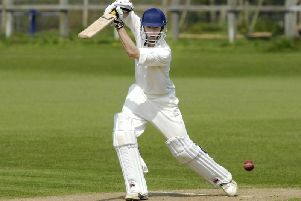 Flixton stretched their unbeaten run to six games with a York League Division One win at Selby. Tom Norman (4-28) and Harry Walmsley (3-54) did most of the damage as the home side were dismissed for 167 which included 58 from Elliott Precious and 40 from Alex Bowden. Richard Malthouse replied with 61 before Anthony Stones sealed the points with an unbeaten 36. Sewerby slipped one place to third as they were held at home by Ripon. An unbeaten century from Scott Cooper (114no) helped the hosts reached 220-8 despite five wickets from James Briscombe (5-40). The visitors replied through Elliott Oates (78) and Josh Crewe (31) and finished on 196-7 to take share of the points. Scarborough 2nds hung on for a losing draw in their game at home to Bridlington in Ebor Division Two. A composed 51 not out from Frankie Reffold helped Brid post 182-6 from their 45 overs, Greg Miller adding 34. David Snowball and Elliott Cooper took two wickets apiece for the hosts. Brad Milburn (38) and James Bryant (68) looked to have put Scarborough in control, but fine bowling from Harry Burton (3-21), Sam Edmundson (2-32), Will Hall (2-40) and Mark Davis (2-22) saw the hosts slump from 100-2 to 129-6, and only 21 from Matthew Watson helped them hang on for a losing draw with 166-9.